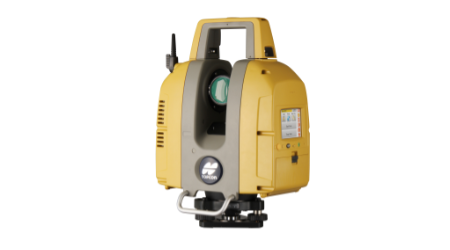 Topcon’s GLS-2000 laser scanners allow you to quickly and accurately capture 3D data at any project site. The compact, lightweight scanners accurately and quickly capture your site in less than 3 minutes with a 360° scan, including images. While the GLS-2000 series is easy to set up and operate, it incorporates many technological innovations. It is the first laser scanner with dual internal cameras and the first scanner with user-selectable laser measurement modes. These innovations, along with class-leading specifications make it an ideal versatile tool to get highly accurate data into any BIM environment. The integrated receiver design includes a GNSS receiver board based on Vanguard™ technology, industry leading Fence Antenna™, internal long‐life batteries, memory storage, optional cellular configuration, and Topcon’s innovative LongLink™ wireless communication technology. The Topcon HiPer SR delivers world‐class positioning and navigation capability to your application by tracking signals from multi‐constellation satellite systems, including GPS, GLONASS, QZSS, and SBAS. The distance accuracy of the GLS-2000 is 3.5mm at 1m-150m. The horizontal and vertical angle accuracy is 6 arc-seconds. Topcon Precise Scan Technology maximizes the accuracy and the data quality by minimizing noise and measurement deviation. Dual-axis compensators provide tighter registration for overall increased accuracy, and increased field flexibility to help meet the needs of unique site logistics and project situations. Historically difficult-to-measure subjects such as buildings, antennas and spans are recorded at the press of a button. The ultra high-speed scanning of the GLS-2000 provides time-saving benefits and is ideally suited to the BIM environment. Utilize pre-set scanning parameters to increase efficiency. The scanner will collect a full 360° scan of your work site in under 3 minutes including images. With three models to choose from (see specifications for more details) and a maximum scan range of 500 meters (on the L model), the GLS-2000 is a versatile tool that lets you get laser scanning in many different work environments. The standalone capability of the scanner combined with its rugged design provides technology that will stand up to the most extreme outdoor worksites. Dual on-board, digital, color cameras provide for ultimate productivity, practicality, and flexibility when dealing with point clouds. The twin cameras help ensure that the images recorded provide the best possible definition photography for all levels of scan detail. Powered by user-selectable, dual-laser capability, the operator is able to choose between a Class 3R and Class 1 laser according to the job site conditions. The Class 1 eye-safe laser can be used in populated areas without adverse effects.